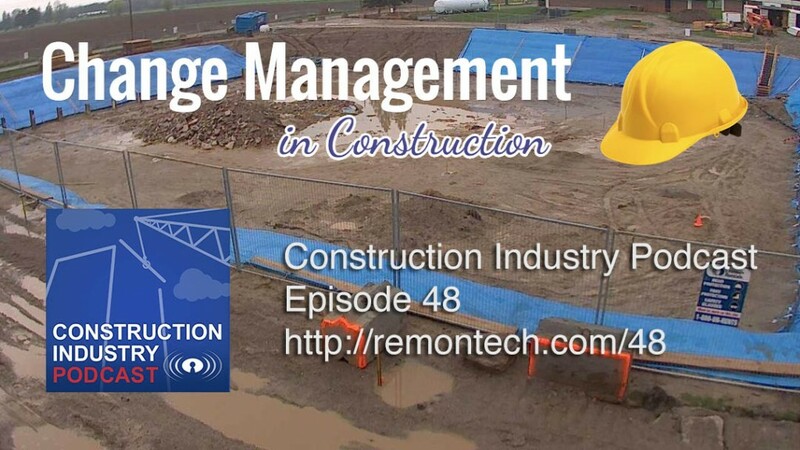 Today on the Construction Industry Podcast we will talk about change management and how to do it properly so it works well for all stakeholders. To talk about this important topic, I bring you Todd Dawalt an expert in managing change and change orders in the construction industry. Todd is also the owner of Snap Field Report, a tool dedicated to help track and manage change orders. To listen to this episode, press the “play” button on top of this post. If there is a significant chance that your project will involve changes that can be priced in advance – do it before you get to that point. If you might encounter rock or bad soil, hazardous materials, etc. on a project, offer up a unit price at the beginning of the project so it can go through the proper procurement approval channels. That way if you do encounter that situation the negotiation is already done and your project can avoid delay. Include hourly rates for your labor and equipment along with a markup percentage for extras if your contract does specify. The idea of sharing cost saving ideas with the contractor has gained favour in recent years, and can be a way to make a profit even when your contract amount decreases. How does it work? If such a clause exists in your contract or you can negotiate it with your client, when the contractor presents a cost saving/value engineering proposal that is accepted, the contractor gets up to 50% of the savings. If you propose an alternate pipe material that saves $50,000, you would receive a deduct change order for $25,000 and keep the rest. Resist the temptation to wait until after the change order work is done to present your case. This erodes your client’s trust, is generally unwise and does not have a good probability of success. If there is going to be a disagreement about the cost, it might as well happen before you invest time and money doing the work. This is one of my favorite tools to help project owners deploy 100% of their capital, i.e. pay you at least 100% of your contract amount. On a project with substantial changes, many owners, engineers and architects wait until the work is substantially complete and they get your final pay estimate to decide if they want to spend any remaining budget or contingency. By that time, many projects don’t have any opportunities to spend additional money even if they have it, so the money goes unspent. The solution is to prepare an Anticipated Cost Report that shows original contract amount, approved change order amounts, and anticipated changes which total up to the total anticipated cost of the project. Use this report to show your client each month how much budget they can anticipated to have available so decisions to upgrade or add scope can be made at the right time in the project. A good change management system is incomplete without a solid process and good tools for reporting and tracking potential change orders. To listen to this episode, press the “play” button on top of this post.